allow for ease of handling. 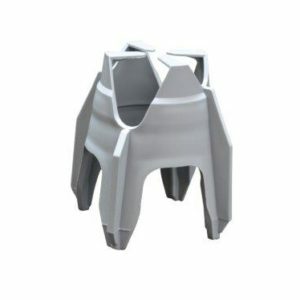 Slab on ground bar chairs are designed for ground floor slabs, specifically where support for steel is required without puncturing the polymer membrane. Manufactured from selected recycled plastics for superior performance, as a result, a cleaner environment for all. 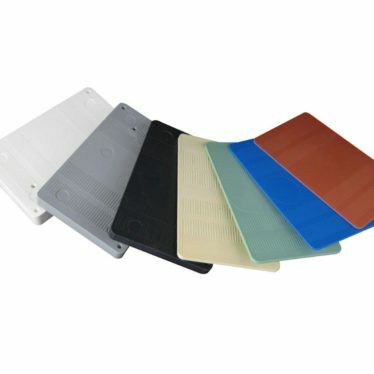 Supplied in coloured bags, therefore size identification is easy. on ground construction. 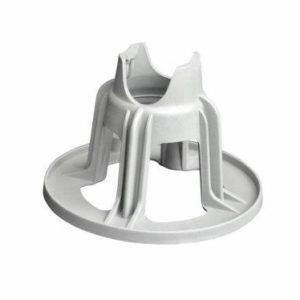 This product has a 200mm diameter, as well as locating pins to prevent movement of the chair. 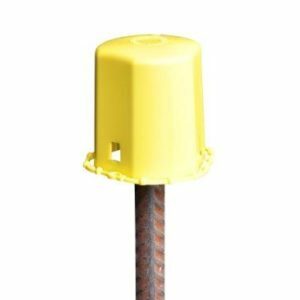 easy to use alternative to metal chairs with bases in deep slab situations, with no voids under the bar or mesh and no rust problems. The easy clip-on system ensures that the chair stays in place whilst the integral base saves time and labour placing separate bases. 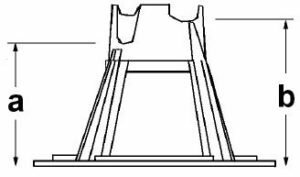 The chairs have been load tested to exceed 500kg, and are available in 95, 100, 110, 120, 130, 140 and 150mm cover for bar or mesh up to 20mm. • Commercial and civil applications, specifically, deep slab on ground, concrete roadways, soft sand blindings and Dowel Joints. the support can be fitted prior to lowering the mesh into the trench. A non clip-on support in the middle allows for tolerances in the main wire spacing of the trench mesh. 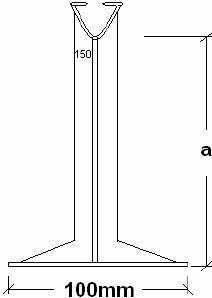 Furthermore, the maximum width of 290mm avoids interference with the sides of narrow trenches. 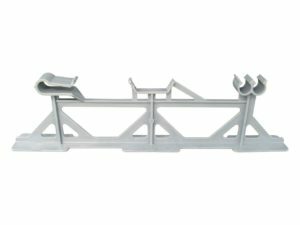 This secure support can accommodate 8, 11, and 12mm bar or mesh, with 60mm cover. • Residential applications such as strip footings, foundations and raft slabs. 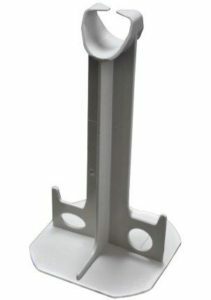 Spacers used for tilt-up walls, precast panels, and suspended slabs. 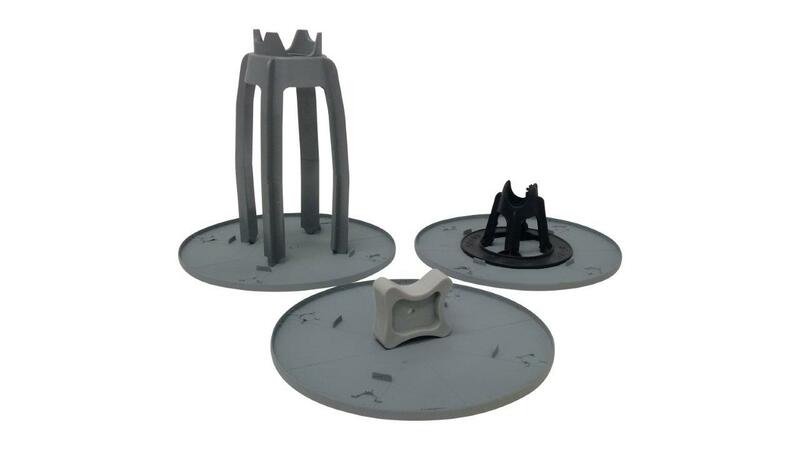 Plastic Packing Shims for leveling Concrete Precast Panel, Machinery and Transportable Buildings. Bar Guards and Star Post Caps fit over the top of exposed stakes and reo bar reducing the risk of cuts and abrasions. Brick ties are used to tie the internal and external walls constructed of bricks or cementitious blocks together. Copyright © Novaplas. All Rights Reserved.